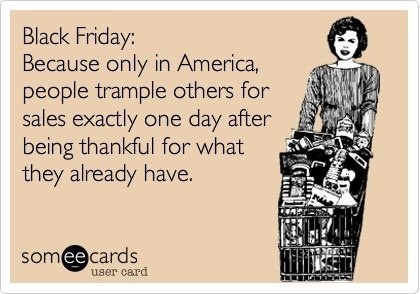 For the 3rd year in a row, I’m posting (and re posting some Black Friday tips)…and for the 30th year in a row, I will NOT be shopping on Good Friday. I shall put up my Christmas decorations, get a mani/pedi with Meredith, force the kids (and Murph) into a festive holiday pose for the Christmas card, take Kevin to the airport, enjoy some fine wine, and thank the heavens that I am not in the Malls…and will be looking forward to Cyber Monday!! 1. Start your research online. Deckard suggests signing up for email newsletters from your favorite retailers now so you’ll be privy to the types of sales they’ll be offering on Black Friday. “When you’re on the retailer emails, you’ll learn about the sales and deals before the rest of the public,” she said. “This gives you a little more time to plan your strategy. 5. 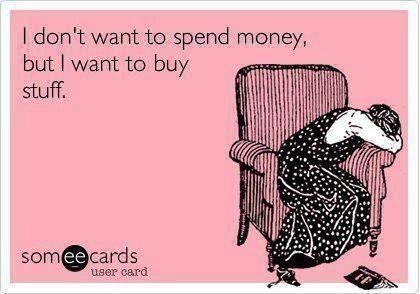 Don’t forget online shopping. “I’m a big online Black Friday shopper,” says Deckard. “Several years ago we contemplated going out for one of the door busters on Black Friday, but when we passed the store at 5 p.m. on Thanksgiving Day, the line was already entirely too long. I was willing to give up the $200 savings to not camp out the night before.” It’s important to consider the value of your time over money when it comes to these deals as well, and shopping online can be an excellent alternative to going in-person. Plus, as an added bonus, Savings.com can help you find exclusive coupon codes for retailers, so you can save even more. 6. Stock up on discount gift cards ahead of time. If you know you’d like to shop at certain stores this season, consider purchasing discounted gift cards in advance from places like eBay Auctions, Plastic Jungle and Gift Card Rescue. Sites like these allow you to purchase the gift cards at anywhere from 5%-25% off the value of the card. Just check ahead of time that you can use the card on already on-sale items before planning to use them all up on Black Friday. These tips come from Hip2Save, which is a great website for saving money everyday…Not only on Black Friday! (1) Be prepared. 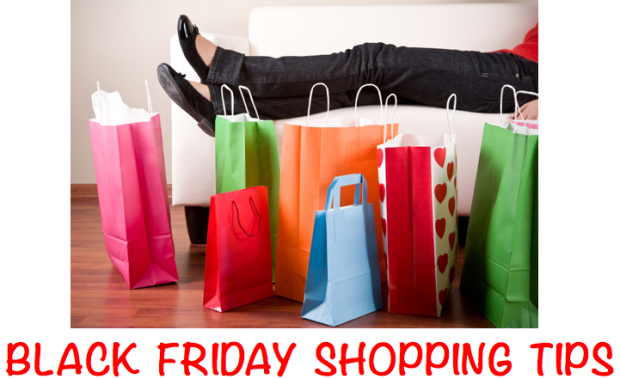 Before you head out to the store, research the Black Friday ads (which I will be posting as the become available) and outline exactly what you would like to purchase. And to be extra prepared, you can even research the layout of your store, so you’ll know exactly where to head to grab the items on your list. (2) Be ready to stand in line for quite a long time. Wear comfy shoes and appropriate outerwear and consider leaving the kiddos at home (if this is not possible, bring toys or other items to keep them entertained while shopping). (3) Know your store’s hours (some stores are opening on Thanksgiving night while others are waiting until the wee hours of Friday morning). Again, I will be posting store-specific information in the coming days. (4) Familiarize yourself with each store’s price matching and/or coupon policy. Keep in mind that many stores have created special price matching policies specific for Black Friday. (5) Make a list! This will keep you focused and will definitely help to prevent you from being tempted to purchase additional items that are not on the list. (6) Remember to ask yourself whether the great deal you see is actually a great deal for you. Check out this post for more on this topic. You may also want to research online prices versus in-store prices, as you can often snag better deals online even when you factor in shipping costs. Plus, think about the time and gas saved when shopping online! Love that! (7) Keep those receipts! After the adrenaline rush is over, you may realize that you got caught up in the Black Friday craziness and purchased items that you really do not want. As long as you have the receipt, you should be able to return them and get a full refund. (8) Go with your mom, sister, or a friend. Plan ahead and plan to split up so you can snag items for each other. It’s the only way I’ve figured out to help you be in two places at once! If you don’t want to go to separate stores, you can each start out on separate ends of the same store and meet in the middle after you’ve snatched up as many of the things on your (and each other’s) lists as you could along the way. (9) Gas up the night before so you don’t waste precious sleep OR shopping time at the pump. Also, map out your route based on store opening times to minimize backtracking and missing out on door buster items you’re planning to purchase. (10) Don’t give up! If the item you are looking for is not on the shelf or display, check the front of the store where other shoppers may have left items they weren’t sure about before checking out. Or, check with your cashier to see if someone happened to change their mind at the register and leave the item you were looking for there. (11) Be friendly. You will be amazed at how people will help each other, even in the craziness, if they are approached with kindness. 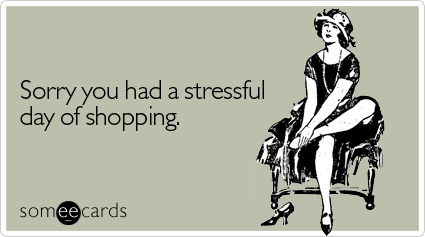 (12 ) And my favorite tip of all… skip Black Friday and shop Cyber Monday instead! There is nothing better than snagging *HOT* deals from the comfort of your own home in your favorite PJ’s! This is Terry’s #1 Favorite Tip as well! 1.) Start NOW! 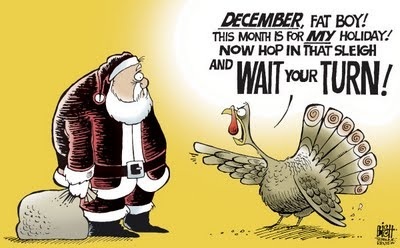 It actually is NOT too early to start shopping, it isn’t too late either. Did you know you DO NOT have to get up at 3am to get the best deals on your must have items? 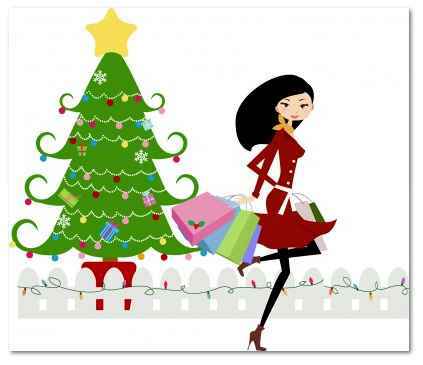 It may be beneficial to you to keep a list of items people want/need and shop for them all year. This will allow you to get THE BEST deal! 2.) Add Items to Your Cart NOW! I just got word that Kohl’s will offer their deals online starting at 12:01am WEDNESDAY November 21st! That is two days before the in-store sale starts! Amazon is also one that starts their sale early. They actually have a week long BF sale! If you see something on a site that you just can’t live without or you think someone would LOVE, put it in your cart NOW! This way, when the BF sale goes live you can get it before it’s gone! 3.) Avoid the Crowds This pretty much goes with #2. Most stores put their sales live online before the sale goes live in store. 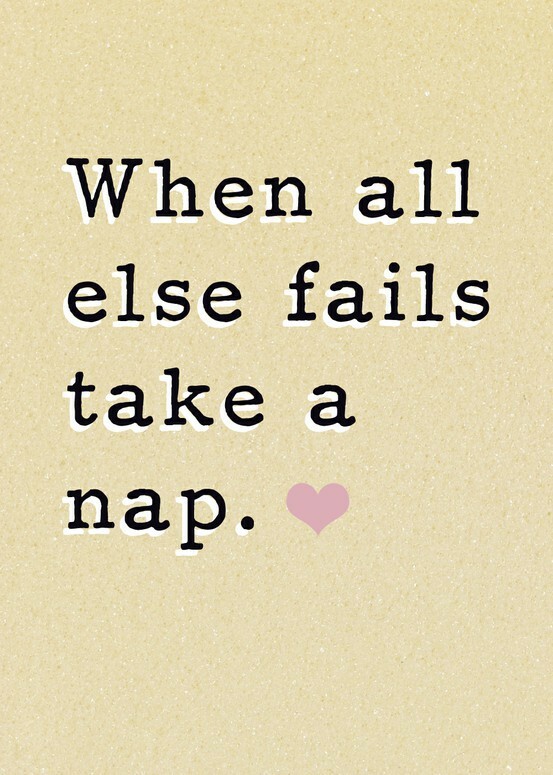 This allows you to get exactly what you want, at home, stress free, in your jammies! 4.) 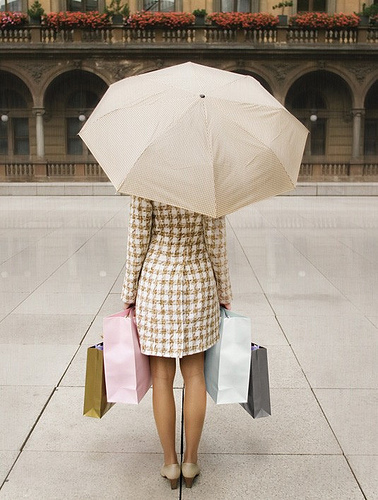 Earn Money While You Shop! Shop through a site such as Swagbucks, Ebates or any other “extra deal” sites. You will receive a percentage back on your purchases when shopping through these sites, this allowing you to put some extra $$ in your pocket! 5.) Sign up for Swagbucks! Since we are on the subject, sign up for Swagbucks.com! Use them EVERY TIME you search for something! I also use them anytime I go to ANY site, even if I have been to that site a million times. Want to check in on Facebook? Search Facebook on Swagbucks first! Why? Because you can earn points when you search! You can then turn those points into all kinds of things, my favorite is Amazon gift cards. There are also a ton of other ways to earn points while you are on Swagbucks. I paid for nearly all of our Christmas last year with the Amazon Cards I earned! 6.) Follow Black Friday Sites! 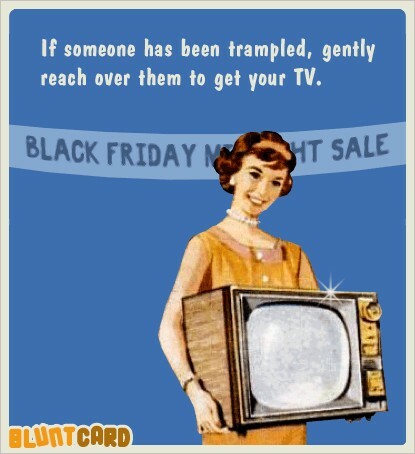 Want to see the Black Friday ads early? Maybe you want to be among the first to know when stores offer special deals? My favorite sites are Black Friday at GottaDeal.comand BFAds.net. Be sure to follow them on Facebook as well! 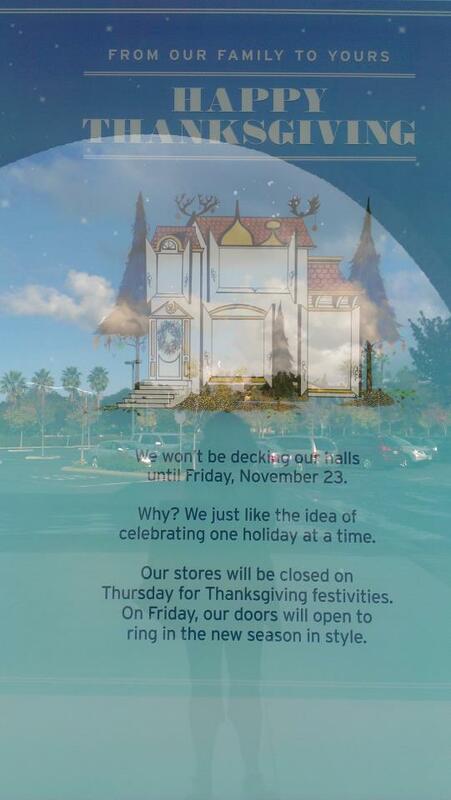 *If no store hours listed, store closed on Thanksgiving Day. And one more reason to love Nordstrom…they won’t be Decking their Halls till Black Friday. And, if you’d like to revisit my last 2 years of Black Friday posts…for your viewing pleasure! And to one of my most loyal blog followers…Happy Birthday LAP!! May you and yours have a Happy and Blessed Thanksgiving. Oh my . . . too much to remember — way too exhausting!! 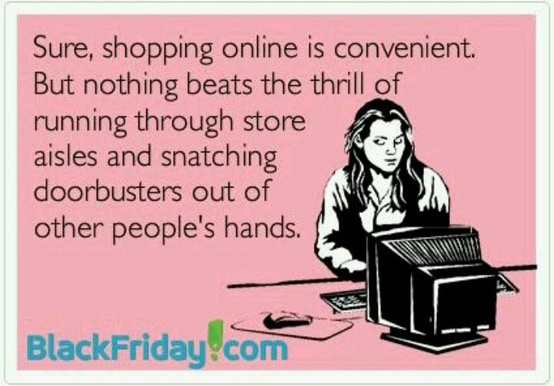 I vote for the Cyber Monday Shopping Extravaganza!! !